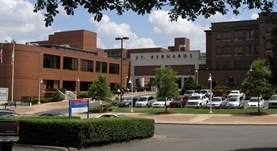 Dr. Don Howard is a pulmonology specialist located in Jonesboro, Arkansas and he works for St. Bernards Medical Center. He got his medical diploma from the University of Arkansas for Medical Sciences College of Medicine and did his residency program in Internal Medicine at the University of Arkansas for Medical Sciences, where he also completed his fellowship program in Pulmonary Disease and Critical Care Medicine. He is certified in Critical Care Medicine, Pulmonary Disease and has almost 20 years of practice.